I’m part of a teacher-leadership program, and we all had to submit a six word memoir–the story of our lives. Yes, six words! Well, mine has always been to go through life with the intent of making the world a bit of a better place than it was before (which, I think, is almost an arrogant goal…like how could one person actually make the WORLD a bit better?). I’ve also believed that part of that has to include passion. I know as a teacher (or a mother or a friend or a runner or whatever) that I can reach far more kids if I am passionate about my job (whether it’s being passionate about the students themselves or about the literature or about my belief that they will have better/more joyful lives if they can read and write with depth and breadth). This is something (the meaning of life) that my students and I talk about. I hope that, in some small way, even that could potentially make the world a better place. Remember, these kids will one day be in charge of the city, the state, the country, and I take that knowledge very seriously. 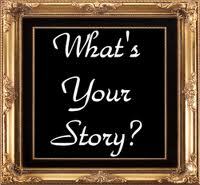 People don’t generally respond to direct challenges, so I am not doing that, but if anyone has a good six word memoir, feel free to add it. Interesting idea! This has got me thibkibg!